Vernon E. Soeken, 79, of Rock Island, passed away Tuesday, April 2, 2019 at UPH-Trinity, Rock Island. Funeral service will be held at 2:00 PM on Saturday, April 6, 2019 at Immanuel Lutheran Church, Rock Island. Visitation will be from 4 pm to 7 pm on Friday, April 5, 2019 at Wheelan-Pressly Funeral Home and Crematory, 3030 7th Ave., Rock Island. Memorials may be made to Immanuel Lutheran Church, Rock Island. Vernon was born on November 21, 1939 in Lyons, KS, the son of Edward and Mildred (Voight) Soeken. He married Karen Hadden on January 25, 1964 in Menlo Park, CA. He attended the Concordia Teacher’s College, Seward, NE before getting his Master’s in Education from Washburn University, Topeka, KS. Vernon was the Director of Christian Education/Principal at Immanuel Lutheran School, Rock Island. He will be remembered as the beloved giver of the best underdogs during recess. He enjoyed being outdoors, especially fishing and camping. Vernon was a member of the Chordbusters Barbershop Chorus, and enjoyed playing the accordion. He was an active member of Immanuel Lutheran Church in Rock Island. 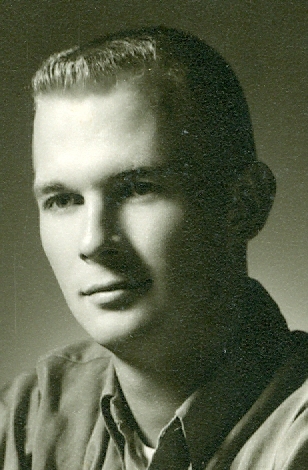 Vernon is survived by his wife, Karen Soeken, Rock Island; children, Kevin (Amy Jo) Soeken, Moline, and Lori (Eric) Gittinger, Alton, IL; grandchildren, Taylor and Makenzie Soeken and Gracie Gittinger; step grandchildren, Niccole Wilson and Sarah Armstrong; and step great grandchildren, Grant, Paige, and Hanna Wilson, Makenna, Brady and Jaemeson Armstrong. Vernon was preceded in death by his parents.